Monday through Friday, 9:00 a.m. – 3:30 p.m. Geared toward high school teachers and staff, this course is designed to introduce you to computer-aided design for live theatre. We will explore Vectorworks, a 2D/3D design tool used widely in the theatre industry. Designed for beginning and intermediate users, this course will cover 2D drafting and 3D modeling. By the end of the course, participants will have the skills to create 2D drafted ground plans, elevations, section views and light plots, as well as perspective drawings and rendered 3D models. Participants will leave the course with a 3D Vectorworks model of their home school’s performance space they can use for future productions and class projects. No prior experience with CAD or drafting is needed. Even if you have never drafted or built a model before, this tool will help you visualize your ideas. The 3D model you will create of your performance space will make it easy to quickly “build” a set and see it from many views, and will include templates for you to quickly generate ground plans, section views, and perspective drawings. If you are already familiar with Vectorworks, you will speed up your work with new tips on document organization, viewports, saved views, importing, modeling, and rendering. Participants who have taken this TDI course before can refresh their skills and will be able to explore advanced materials. Participants can take the five-day course for 2 continuing education credits and choose an optional third credit for work related to a production or class at a home school or theatre. Additional fee of $100 per credit hour is required. QLab is playback software used widely in the theatre industry for live control of sound, video, and lighting. We will walk step-by-step through the process of creating cues for audio, projections, and lights. You’ll complete a series of hands-on creative projects throughout the week to solidify your learning. We will cover some basics of audio and video equipment, but will focus primarily on what is needed to use the software for your creative projects during the week. Participants of past TDI courses in sound, projection, or lighting will benefit from mostly new content and will likely find some review of previously covered material. Computers and software are available for participants to use during the week. Participants are welcome to bring a laptop with QLab software installed. QLab operates only on Mac computers. Two Sessions Offered This Year! 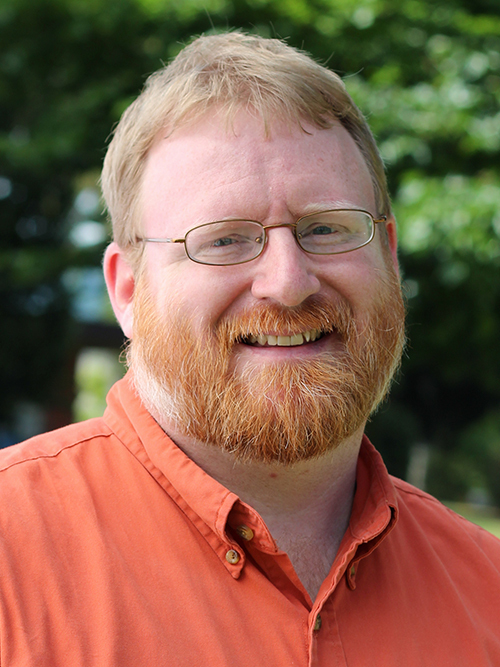 Bryan Boyd is a professor of theatre at George Fox University where he runs the design and technical theatre program. Bryan has also designed professionally for a variety of theatres in the Northwest including Artists Repertory Theatre, Sound Theatre Company, Seattle Musical Theatre, Broadway Rose Theatre Company, and Northwest Children’s Theatre. Bryan holds an MFA in Scenic Design from University of Portland.